Drill is a powerful feature that lets you explore hierarchical data in your charts. 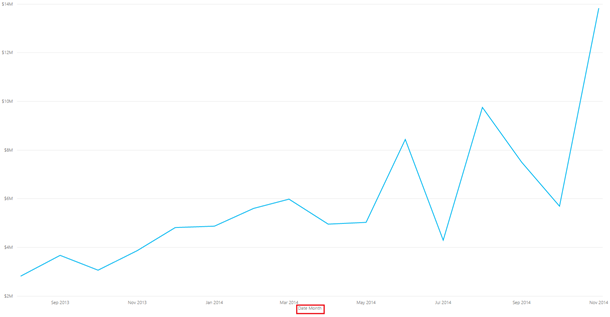 With this release, you can now drill into line charts in a similar way to bar charts. 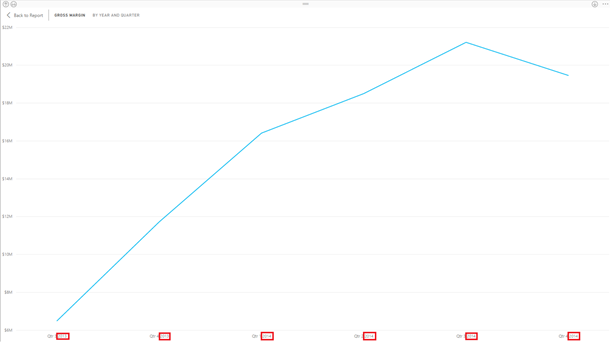 If you have a hierarchy set up on the X axis, you can now go into the Drill menu and enable the drill actions for the line chart. Line charts now default to a continuous axis for dates and stay as a continuous axis as you drill down through a date hierarchy. The axis label lets you know what drill level you are on. As mentioned above, drill lets you explore hierarchies in your charts by drilling up and down multiple levels in your chart. Back in April, we released a preview feature which improved the drill experience by appending the label of the parent to each child axis label when you Expand All. This means that any item can be distinguished from the same item in a different parent category. In the example below, the year is appended so you can differentiate quarters from different years. Last month, we released predefined styles on tables that allowed you to quickly change the style of your table. This month, we are extending this feature to work for matrices as well. When you have a matrix selected, you will see a Matrix styles option in the formatting pane with different style options available. Once a style is selected, you will be able to continue modifying any of the individual properties. Previously, the order your fields show up in your charts and in your custom tooltips was determined by the order you originally put them into the field well. Now, you can now control the fields in your charts by reordering them in the field well. We will always respect the order of your fields in the Values and Tooltip bucket. This new feature will automatically apply to all your current charts, so you may notice that some of your charts and tiles have updated to match the field ordering in the field well. Based your feedback, we have added the ability to control the colors for your KPI visual. When you have the visual selected, open the formatting pane and select Color coding. From here, you can customize the Good, Neutral, and Bad color using our color picker or enter in your own color code. We also moved the Direction drop down here as well. With this release, we have added a new analytics pane, which will be the new central location for all analytical features. You can find this pane next to the formatting pane when you have a visual selected. With this first release we focused on adding dynamic reference lines and moved trend lines and reference lines to their new home in this pane, but you should expect to see more features in the coming months! With the release of the new analytics pane, we have added the ability to create multiple data bound reference lines on clustered column and bar charts, line charts, and scatter charts. These new reference lines are calculated based on the max, min, median, average, or different percentiles of a selected measure. You can add as many reference lines as you need. For each line you can control name, what measure it is based on, the style, and if it has a label or not. In our previous update, we released a Preview connector for Impala. 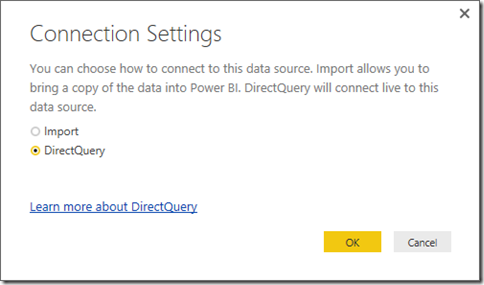 This connector allows you to import data from an Impala cluster into their Power BI reports. With this month’s update, we’re enhancing the connector to also support DirectQuery mode. After specifying an Impala cluster to connect to and pick one or more tables in the Navigator, you can now select which connection mode to use. We’re extremely excited about the overall feedback on this Preview connector for the last few weeks. Our team is looking forward to hearing more from you about how you are leveraging this connector and any improvements you’d like to see, before making it generally available. Keep your feedback coming! This month we are adding a new data connector that allows you to import data from Snowflake, a cloud-native data warehouse for Big Data, into your Power BI reports. 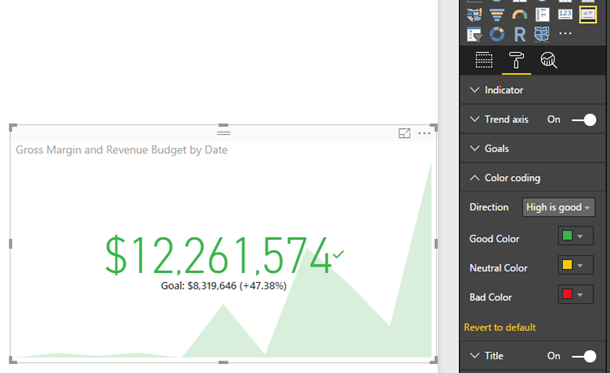 With this new Preview connector, you can easily create Power BI reports to visualize data from your Snowflake data warehouse. In order to try this connector, you need to enable the Preview feature option, which can be found in the Options dialog (File -> Options and Settings -> Options) under the Global -> Preview Features tab. Once the Preview feature has been enabled, you can access the new Snowflake connector from the Database category in the “Get Data” dialog. 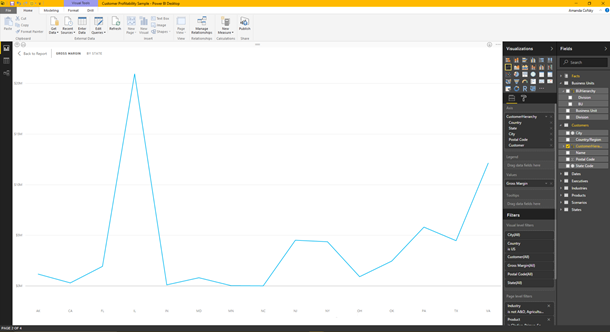 The connector currently supports importing data from Snowflake into Power BI Desktop. In future updates, we will also add DirectQuery support to this connector. 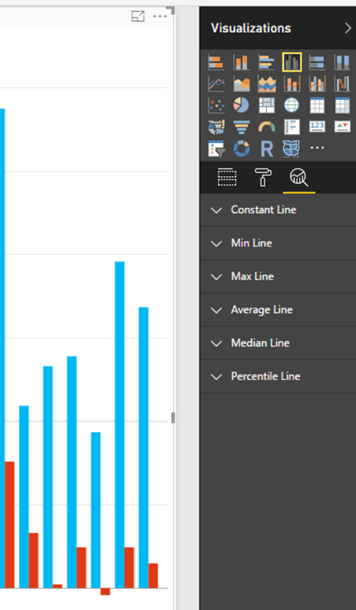 One of the most unique connectors in Power BI is the Web connector. With the Web connector, you can easily import data from web sites that has been formatted as HTML tables, or even pull data from Web APIs. 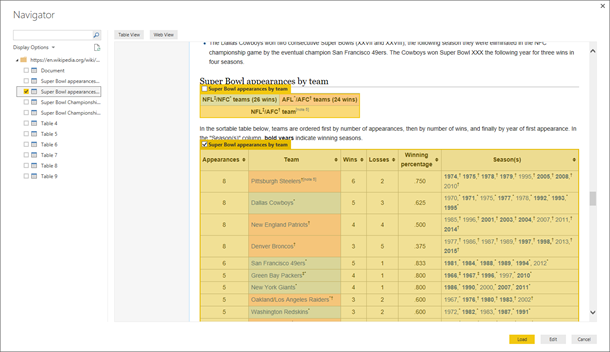 When using the Web connector for “scraping” data from HTML pages, a very common challenge is that the Navigator view, based on a list of tables, is not very helpful in identifying the desired tables. This is particularly hard when dealing with Web pages that contain lots of tables, and in many cases, with not very representative table names. With this month’s update, we’re introducing a new mode in the Navigator dialog that allows you to preview Web tables “in context” and select the desired tables by just clicking on them within the Web page preview. This results in a much more intuitive and seamless user experience for selecting tables from a web page. In order to access this mode, you simply need to click the “Web View” button at the top of the Navigator dialog. 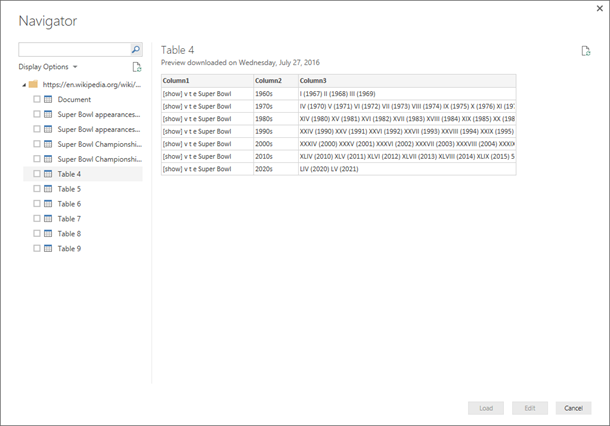 You can also switch back to the classic data-centric view by selecting the “Table View” option. After a few months available as a Preview connector, we’re declaring the SAP BW connector as Generally Available starting with this update. The SAP BW Connector can be found under the Database category within the “Get Data” dialog. More details about the SAP BW connector are available in this documentation article. 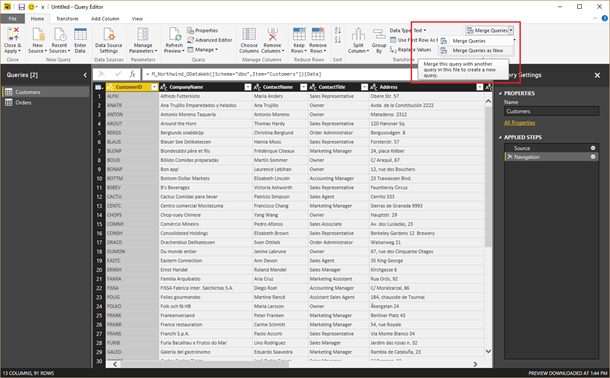 Within the Query Editor, you can easily merge (join) or append (union) multiple tables, allowing you to mash up data from multiple sources into a single table. You can find these operations (Merge/Append) within the Home ribbon tab of the Query Editor. In previous versions of Power BI Desktop, Merge/Append operations were always applied as new steps within the current query. Starting with this month’s update, you can decide whether to apply these operations as a new step in the current query or whether a new query should be generated, with the output of the Merge/Append operation. We have improved our ability to recover your work from application crashes even when you haven’t saved your report. If the PBI Desktop crashes, when you open the file next, you will see an info bar prompting you to recover those files. 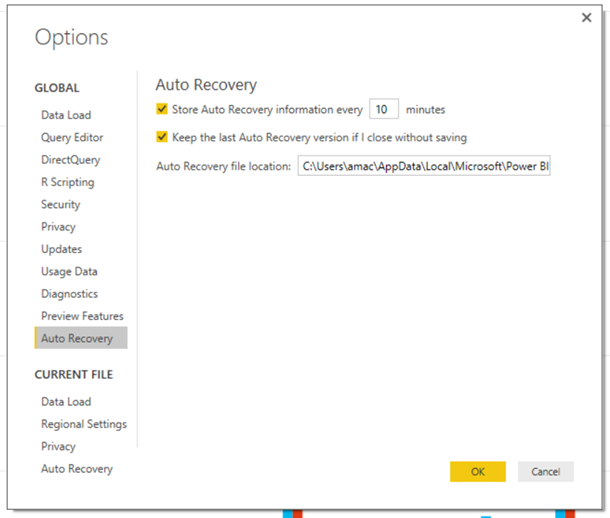 Additionally, if you have the "Keep last Auto Recovery version if I close without saving" option in the Auto Recovery tab of the Options dialog checked, this will also happen if you close without saving. 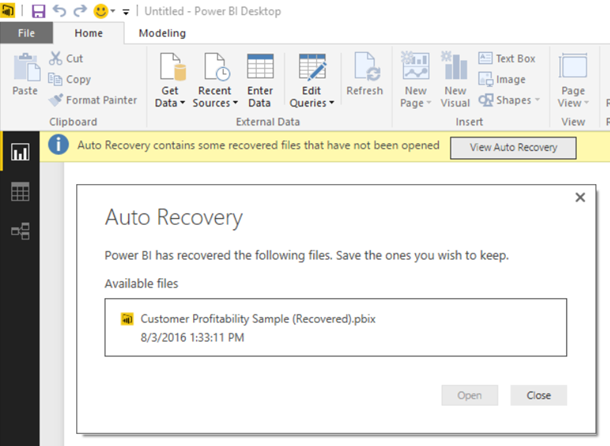 After opening an auto-recovered file, you'll have to refresh the data model to see any data within the report.